Vodka drinks are some of the most popular cocktails of all. Without a doubt, vodka has become the top liquor of choice over the last 50 years. The creation of this popular spirit has been attributed to more than one source, but many enthusiasts would agree that the recipe was perfected in Russia. Perhaps the biggest signal that vodka had really arrived came with the transformation of the standard martini. The classic martini had always been made with a combination of gin and vermouth. Suddenly, people were requesting that their martinis be made with vodka and vermouth while completely omitting the gin. This may have been largely due to the influence of the James Bond film where the main character gave his own recipe for the ideal martini, but the trend wouldn't have taken hold if the recipe hadn't turned out to be such a success. Since pure vodka is colorless and odorless, it's the ideal spirit to mix in any cocktail where you don't want the alcohol to affect the flavor of the beverage. 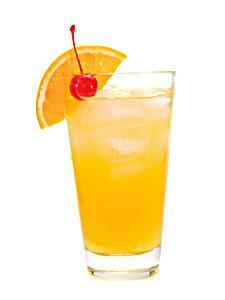 You can blend it with many liqueurs, juices and other mixers without adulterating their original flavors. If you're the type of cocktail enthusiast who likes to experiment and create new cocktail recipes, vodka is an excellent choice with which to work. Even though pure vodka has its uses, vodka manufactures have begun turning out a wide range of flavored vodkas, including raspberry, citron and many more. These flavored vodkas taste delicious when chilled and drunk neat, but they can also be used in many vodka drink recipes. For instance, try using a citron vodka in place of standard vodka in a vodka martini recipe. The citris infusion creates a bright note of flavor in the drink that does away with the need for any lemon garnish, although you can still add it if you like. Who knows what new trends will pop up with vodka drinks, but you can be certain that you'll find information about them here when they do. Check back regularly for new articles.